Yesssss Missy Elliott!!! She totally deserves this she has been nominated to be inducted into the songwriters Hall of Fame. 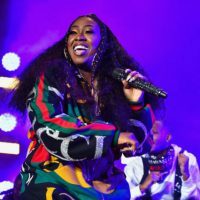 Missy Elliott is the first female rapper to ever accomplish a feature in the hall of fame history. Missy took to twitter saying “I’am humbly grateful to be nominated with so many other amazing writers”.